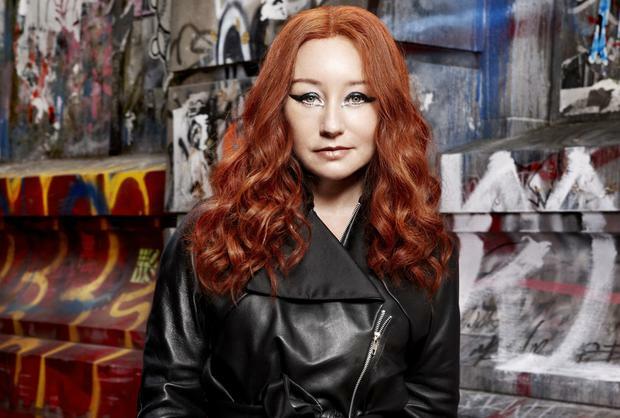 Tori Amos’s rise to fame coincided with the grunge explosion of the early Nineties, her gothic Americana drawing on the same inner darkness that fuelled the frenzied self-loathing of Nirvana et al. But though the singer remains very much a figure of that decade she continues to push forward creatively, with latest album Native Invader delving into the bleak underbelly of married life and parenthood. The second night of her European tour – she had kicked off in Cork the previous evening – was a battle hymn of female catharsis. Blood Roses re-cast an unhappy romantic encounter as baroque fairytale and Crucify channeled emotional turmoil through a prism of religious suffering. Seated between piano and keyboard Amos was occasionally playful, often fervid – and always mesmerising. She dusted down her haunting, slo-mo cover of Nirvana’s Teen Spirit, performed alongside a rendition of Joni Mitchell’s River. A smattering of new tracks, meanwhile, shared the setlist with highlights from Boys For Pele, the bonkers fever dream which marked its 20th anniversary last year. The latter songs, in particular, drew a line between Amos’s Gen X angst and the hazy millennial disquiet of Lana Del Rey and Lorde. Beauty Queen plunged deep into David Lynch-style nightmare imagery; b-side Take to the Sky was an angry stomper, distinguished by Amos’s electrifying thwacking of her Bösendorfer piano. But she has a softer side too, as she reminded us with Winter, her bittersweet reflection on childhood and the pain of growing up. Teary-eyed yet with a razor-blades sewn into the stitching, it cut to the heart of her weird and irresistible musical voodoo.